Who wouldn’t be afraid of death? By its very nature, death is horrifying—an inescapable journey into the ultimate unknown. We spend much of our lives trying to avoid it, but we hardly understand it at all. To truly comprehend death, we have to look from the other side. In this episode, host Curtis Childs and featured guests explore eighteenth-century Christian mystic and philosopher Emanuel Swedenborg’s accounts of how we pass from earthly life to the afterlife. According to Swedenborg, we have the love and comfort of angels waiting to guide us through the next stage of the journey. When a caterpillar curls into a cocoon, it’s not dying or disappearing—it’s changing. Its narrow perspective ends as it transforms into a different creature with a higher function. Swedenborg describes death in the same terms. Our bodies are just containers for our souls, so a body’s death is nothing to fear. While some people have negative near-death experiences, it seems that such experiences serve a higher purpose in helping someone find a new direction in life. In his books, Swedenborg describes how he was permitted to see the entirety of the dying process from the spiritual side. Latin expert Chara Daum explains that Swedenborg often writes about the same thing in different books; and at this point in the episode, Curtis draws from two of Swedenborg’s writings to offer complementary accounts of the dying process. Many times, the words of the dying are communicated using travel language. In the first stage of the death experience, the spirit disconnects from the body. 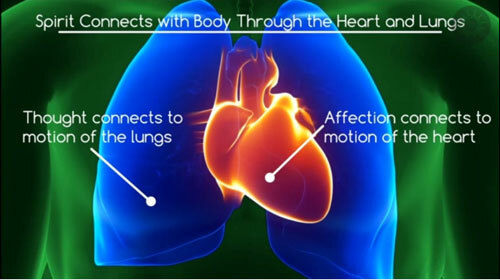 Swedenborg draws a correspondence between the motion of the heart and lungs and the thoughts and emotions that circulate in our mind. Caregiver Robin Childs talks about how here on earth we can care for people who are going through the dying process, helping them to pass on peacefully with love. 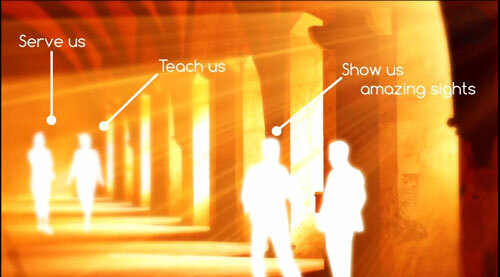 When people are this close to the next stage, they often report spiritual experiences. Studies have shown that singing can help to make the transition feel loving and smooth. Chelsea Odhner describes a time when she joined with others to sing for a dying friend in her community. It doesn’t matter how you die; everything about who you are comes with you into the afterlife. In a sense, it’s a lot like being born. Midwives and doulas help babies enter into this life just as angels help us enter into the next. Kaye Lermitte is a doula who says that understanding the process of birth might help us understand what happens next after death. Of all the angels that Swedenborg encountered, heavenly angels were the ones that began his guided journey through death. He describes how these angels guided his experience with very attentive care, allowing him to experience firsthand what it’s like to die. In various passages from Secrets of Heaven, Swedenborg wrote with added detail about how the angels protected him from the spirits around him during the transition. The communion with those angels was so close that as he shared their thoughts it almost seemed to him as if their faces became his own; they embraced him and encouraged him to think about eternal life, not judging any of his misconceptions. It is only after being in this state for some time that a person passes fully into the spiritual world and receives “the gift of light,” meaning that they can now see what is around them. At this point, the spiritual angels—angels from a different part of heaven—come to take care of the new arrival. 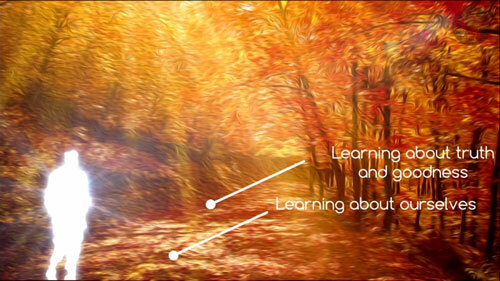 In the second phase of Swedenborg’s journey, the spiritual angels helped to guide his thoughts. 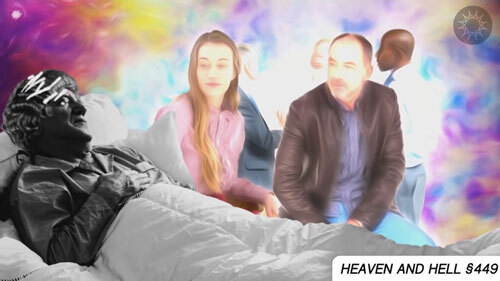 This part of the episode begins with a slightly different description of the awakening process from Swedenborg’s book Heaven and Hell that reveals how the angels open our spiritual senses. That’s right; here is some Swedenborg and Life trivia! The name of our YouTube channel, offTheLeftEye, comes from Heaven and Hell §450, in which Swedenborg describes a part of this awakening where a covering is rolled off of his left eye. Curtis mentions that he considered “gently rising paths” as another possible name for the channel. It’s important to note that a person’s religion on earth doesn’t matter in heaven; all that matters is what a person’s life was like. To wrap things up, we’ll look a little more closely at where the fear of death comes from. But first, a short non-commercial break: Curtis shares a viewer video with a spiritual insight about gardening. Have a clip of your own to share? E-mail it to offthelefteye@gmail.com. Where does the fear of death come from? Swedenborg’s experiences help to mitigate the fear of the unknown, and several modern accounts seem to indicate that God’s love will mitigate the physical and emotional pain that come with death. Even if it seems like a dying person is in pain, a common element in many near-death and psychic experiences is that as soon as life ends—often even before life ends—the spirit is freed from all pain. There’s nothing to fear in the process. To demonstrate how anxieties about dying are alleviated even for people who are already in the afterlife, Swedenborg talks about the kindness of angels freeing a lost spirit and helping him into heaven. Why does the Christian Bible not reassure us about this crossing over into heaven or the other side? Last November, my 29-year-old son died suddenly. While waiting outside for paramedics to save his life, I begged my son to choose to stay here with me. Did he have a choice, as NDE stories state? What would Swedenborg think was more important: experience or the “moving of the spirit” in Quaker terms, or the Bible and church traditions? Swedenborg had many out-of-body experiences, or spiritual experiences, but what about allowing spirits to speak through you? Is it dangerous to speak or be a medium? Do we, the living, ever really feel loved ones around us or is it wishful thinking? Christianity teaches that after we die, we essentially take a “dirt nap” until the resurrection. Is this true?